For those who have been reluctant exercisers previously, the goal is to be in better shape than you were in your thirties and forties. 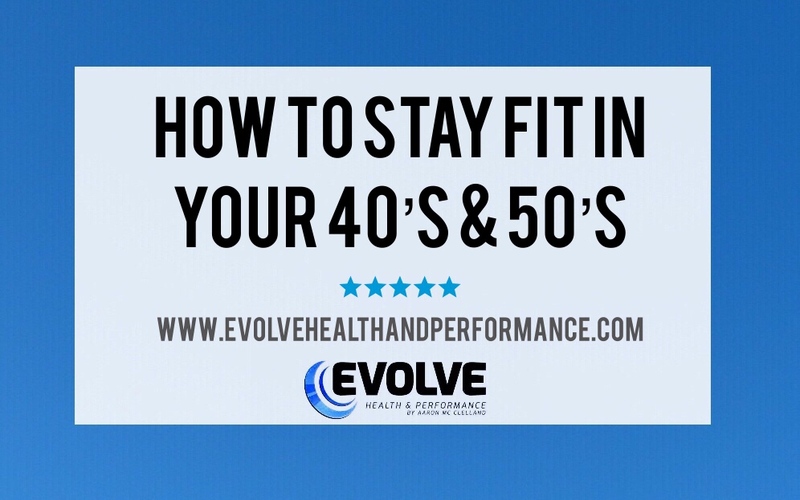 For those of you who reach your fifties with a good foundation of fitness, the goal should be to maintain what you’ve developed. You’re unlikely to be breaking the personal bests you hit in your twenties and thirties, but you can still keep up a rigorous training routine, allowing you to lead a healthy and pain-free life. Couple this with daily movement, such as walking or swimming, and some mobility work, and you’ll have a formula that keeps you younger than your years. As you age, motivation to stay in shape is often higher than in your earlier years. Wanting to remain physically independent and robust provides you with a clear purpose, making it easier for you to prioritise and make a firm commitment to your training. Joining us here at Evolve with like-minded people is a great way to keep you accountable and committed.